New to the festival? Take a look at our survival guide. The centrepiece of the festival, we have beers from around the British Isles, around 200 beers from around 100 breweries. We’ve beers from some of our oldest family brewers and our newest microbreweries for you to enjoy. More information is available on our guide to beers. As usual, numerous old favourites will abound, but we also continually try to find new beers, new breweries and indeed new countries to represent. 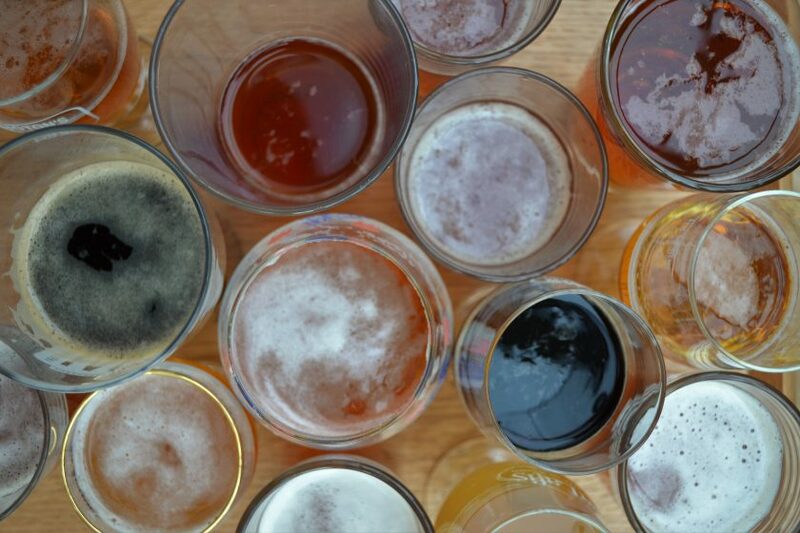 More information is available on our guide to foreign beers. Real cider is a long-established traditional drink that is produced naturally from apples and is neither carbonated nor pasteurised. We have a range of ciders and perries – around 60 have been ordered. There’s a focus on producers in our area, but we have plenty from further afield. More information is available on our guide to real cider and perry. We are again endeavouring to keep up with the growing demand for this ancient product, brewed from honey. Give it a try, you just might get a buzz out of it. New to mead ? Find out more with our guide to mead. We have a wider range of locally produced fine English wines, and our guide to English wines. Our cheese counter has fine cheeses from across the UK. We also have a range of food concessions offering pizza, curry, fish and chips, falafel and more. Find out more about food at the Cambridge Beer Festival.